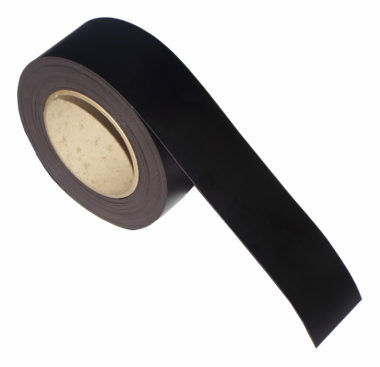 Matt black magnetic easy wipe racking strip – This general purpose magnetic tape can be used as gridding tape or for colour coding identification. Tags: gridding tape, Magnetic strips, easy wipe racking tape, easy wipe, magnetic tape, Magnetic Black gridding tape. Strong Magnetic Strips & Accessories. This multi-purpose matt black magnetic easy wipe racking strip can be used to help colour coding identification, gridding tape and also offer the possibility of stamping out any desired chracters or shapes.